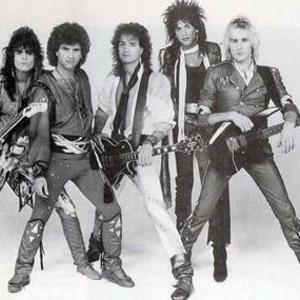 Krokus is a hard rock/heavy metal band from Switzerland. Krokus was founded in Solothurn, Switzerland in 1974. Although their line up has frequently changed since the band's inception, the current line up is once again the Headhunter era line up of Chris Von Rohr (bass), Marc Storace (lead vocals), Fernando Von Arb (guitar, vocals), Mark Kohler (guitar) and Freddy Steady (drums). Krokus enjoyed some popularity in the 1980s through MTV exposure and videos which made them the most internationally successful Swiss rock band (which they remain up to this day. Krokus was founded in Solothurn, Switzerland in 1974. Although their line up has frequently changed since the band's inception, the current line up is once again the Headhunter era line up of Chris Von Rohr (bass), Marc Storace (lead vocals), Fernando Von Arb (guitar, vocals), Mark Kohler (guitar) and Freddy Steady (drums). Krokus enjoyed some popularity in the 1980s through MTV exposure and videos which made them the most internationally successful Swiss rock band (which they remain up to this day.) In Europe, they toured with Nazareth and in the United States with AC/DC, Mot&ouml;rhead, Rush, W.A.S.P. and Judas Priest. Their album Headhunter was a platinum album in the United States. All of the rest of their albums, including their latest, Hoodoo, have gone platinum in Switzerland.